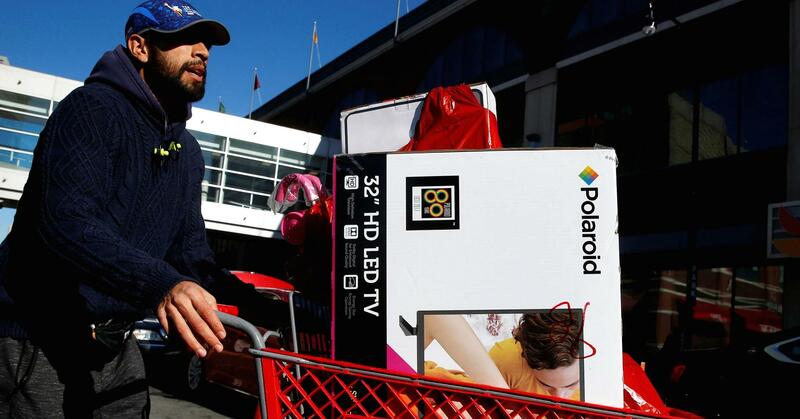 A man pushes a cart load of goods after shopping at a Target store during Black Friday shopping in Brooklyn, New York, November 24, 2017. Target shares will rise as the discount retailer benefits from aging demographics, according to Bank of America Merrill Lynch. The firm reiterated its buy rating for the retailer and added the stock to its US1 top ideas list. Target shares rose 2 percent Wednesday after the report. Its shares are up 9.9 percent through Tuesday versus the S&P 500’s 0.6 percent gain. Ohmes reiterated his $86 price target for Target shares, representing 20 percent upside to Tuesday’s close. The analyst noted the stock trades at only 13 times his fiscal 2020 earnings per share estimate and has a 3.2 percent dividend yield. He also cites Target’s strong free cash flow yield of 6 percent. 0 responses on "Target shares jump as Bank of America calls it a top pick and a good bet on ‘aging millennials’"